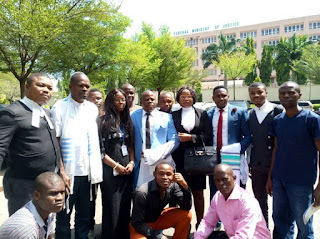 ABUJA— An Abuja Division of the Federal High Court Wednesday, adjourned hearing till March 26, 2019 on the suit filed against co-defendants to leader of the Indigenous People of Biafra, IPOB, Nnamdi Kanu, following the absence of the prosecution witnesses in court. Trial Justice Binta Nyako made the ruling following a request by the Federal Government’s counsel, Shuaibu Labaran, to adjourn hearing on the matter due to the failure of his witnesses to appear before the court. Labaran, while moving a motion for adjournment, informed the court that one of the prime witnesses was away for an official assignment hence, not available for yesterday’s proceedings. 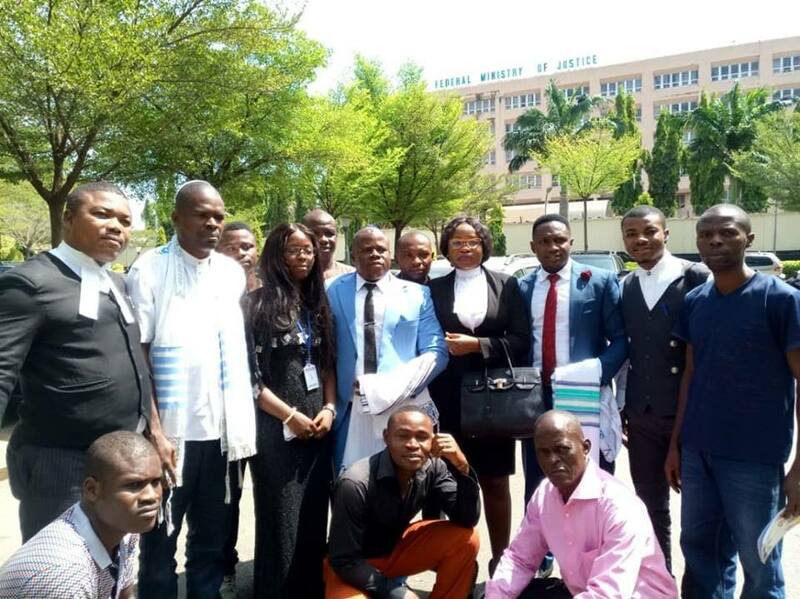 But the lead counsel to the defendants, Ifeanyi Ejiofor, opposed the oral application for an adjournment on grounds of a pending application challenging the competence of the charges slandered against the defendants. According to him, “My Lord, we have a pending application challenging the competence of the charge before filed on 27th March last year. In reaction to Ejiofor’s objection, the prosecuting counsel, Labaran, told the court that they have not been served with the copy of the application, adding that the adjournment he was seeking was for just a day. “My Lord, we’re not served. If they give us a copy, we’ll look at it. If it merits our response, we’ll do that immediately but we’re not served,” he stated. Labaran added, “My Lord, I have two other of my witnesses in court. In view of the witnesses’ protection, which has already been granted by this Honourable court. “The point I need to make is that two of my witnesses are in court but my next witness is not in court today and the sequence of my case does not suggest me jumping the line of my presentation of evidence and in the light of that, I didn’t ask for any long adjournment and that is to exhibit the seriousness the prosecution has attached to this case. Meanwhile, lawyer to the second defendant, Chidiebere Onwudiwe, Mr I. Efere, while reacting to the application for an adjournment, demanded the court to award the sum of N500,000 against the FG for expenses incurred while attending the court. According to the lawyer, “It has passed three months when this court gave us this date. They were all aware that today is the continuation of the trial and then they walked into this court on akimbo to tell this court that their witness is not in court without cogent reasons. Also, in his reaction, lawyer to the third defendant, Benjamin Madubugwu, Mr P.A.N Ejiofor asked court to foreclose the prosecution’s application for an adjournment. According to him, “there must be a cogent reason to suggest an adjournment. This matter came up last on June 25, 2018 and the prosecution has more than one witness and he’s telling us ‘one witness is not available’. What about the others? He should have at least selected one from the rank of all the witnesses. Counsel to the fourth defendant, David Nwawuisi, Mr Maxwell Okpara, also, in his reaction, aligned himself with the submissions of the third defendant. “Yes, My Lord, I just aligned myself to the resolution of my learned friend; considering the fact that the prosecution has succeeded in embarrassing my client. He lost his marriage, he lost his job and he just started life afresh,” Okpara asserted. The court after hearing the arguments, adjourned the trial in favour of the prosecution, while also allowing the defendants to continue to enjoy their bail as she expressed satisfaction for their presence in court. “On a very serious note, I’m going to grant the adjournment because we need to get our witnesses’ protection. The ones we have here are a bit faulty. We need to get them in order. We have several cases that needs witness protection. So I’m going to allow the gentlemen(defendants) to continue with their bail. I’m very impressed they were in time. I saw them when they came,” the judge concluded.